Players for the Baltimore Ravens take a knee during the National Anthem to protest police brutality, stand in solidarity with Colin Kaepernick, and spite President Trump. Neo-fascist and alt-right figurehead Richard Spencer was punched in the face at Donald Trump’s inauguration. Last week, ultra-right radio host Michael Savage was involved in a physical confrontation in a San Francisco-area restaurant. No one was charged, but Savage insists he was assaulted because of his political beliefs. He might well have been. A prominent Donald Trump supporter who interviewed the candidate several times during the campaign, Savage is infamously outspoken about three issues: borders, language and culture. Like so much of the far-right, Savage is a crypto-white nationalist. On one front, militarized police in riot gear; on the other, protesters with drums. While the news cycle remains fixated on Washington politics, the biggest story in America is unfolding in a remote region of North Dakota. In the small town of Cannon Ball on the Standing Rock Sioux Indian reservation, activists are defending sacred burial ground and their community’s water supply against construction of a major oil pipeline. Militarized police and private security forces are there to ensure the project is completed, arresting reporters and assaulting protesters. 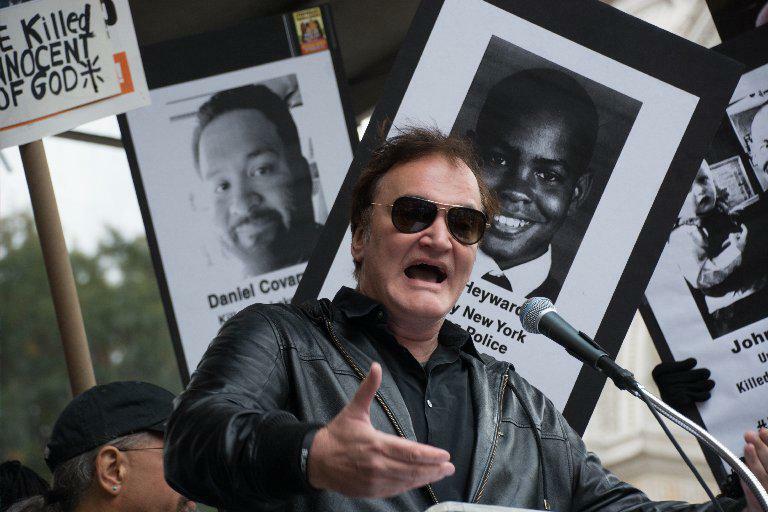 Following his brief speech at a demonstration against police brutality last month, director Quentin Tarantino has experienced a backlash from police unions. In particular, Fraternal Order of Police executive director, Jim Pasco, issued vaguely worded threats about surprising Tarantino and harming him economically. Perhaps he’s bluffing. But threats from police, even nonviolent ones, against a private citizen who has broken no law are totally unacceptable. Pasco highlights just how paranoid and reactionary police culture has become. 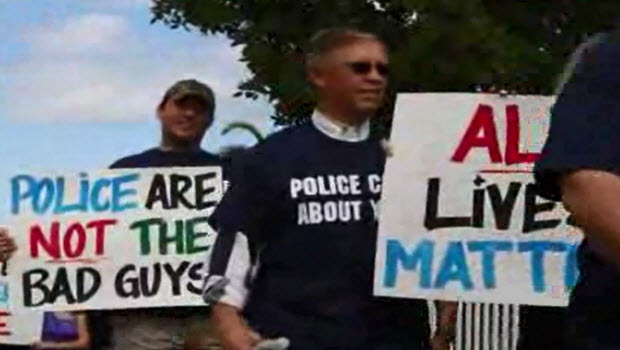 Protesters carry signs insisting all lives matter. Since it became a national movement, Black Lives Matter has been met with antagonism for its name alone. The phrase “black lives matter” is seen by some as divisive, confrontational and perhaps even racist. It reveals a great deal about the struggle black Americans face that controversy arises when they assert the value of their lives.